Perhaps it is a “quest for tone” for Eddie but I’m not sure where the form vs function vs tone comes in to play with Van Halen. Maybe it’s a combination of all three in equal parts. 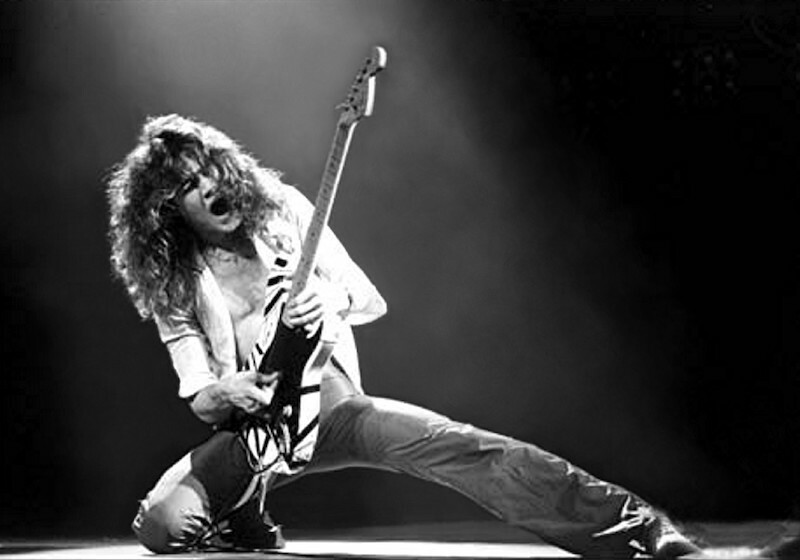 I tend to view Eddie as a player who is intent on getting a guitar exactly the way he wants it to feel and play and while he no doubt has a sound all his own, It’s difficult to be a tone nerd with a one double-coil at the bridge. that’s not what I would consider a tone machine. You can do a lot with that but not as much as others. I tend to think that the beauty of a strat is that you can tell who is playing the guitar where other guitars are more samey in there sound. Now of course you can tell the difference in Zak Wylde vs. me noodling on my Les Paul but I find the Strat even more instantaneous in its revelation. For Eddie, he’s unmistakable and this article at Guitar Aficionado discusses his quest for tone. I’ve read interviews with Eddie for nearly 30 years now and he has never sounded different in his own tone…bitter and angry with how he’s mimicked and treated. It’s like an entire industry trampled over his innovations and brand and he didn’t get a dime for it. I guess that would make you bitter.